Do you want to have whiter, smoother and more glowing skin this summer to go with your skimpy and bright swimwear? Here's my answer! The Flawless Beauty Drip! 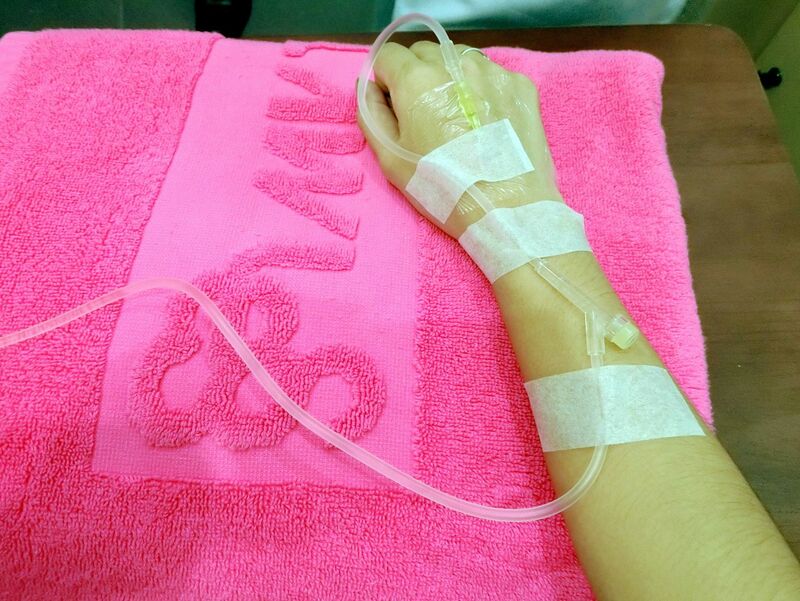 It's the treatment more popular as IV Glutathione Infusion. 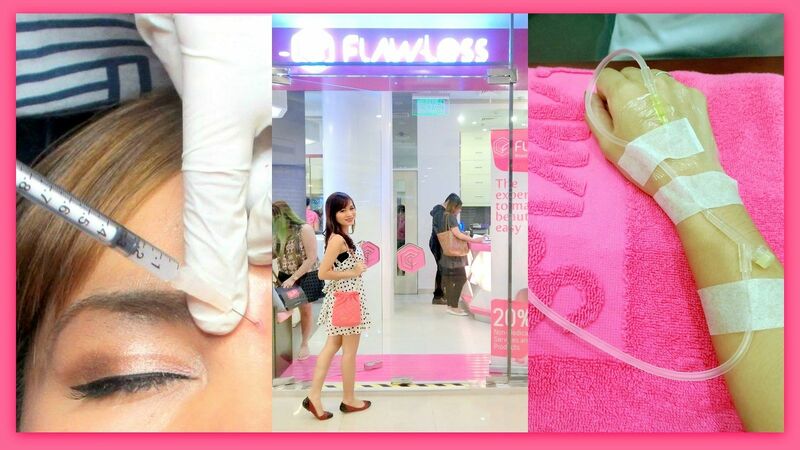 I have actually tried this already about a year ago and I blogged about my first Flawless Beauty Drip Experience HERE. Some people asked me for an updated Beauty Drip post so I went to Flawless to try it for the second time. 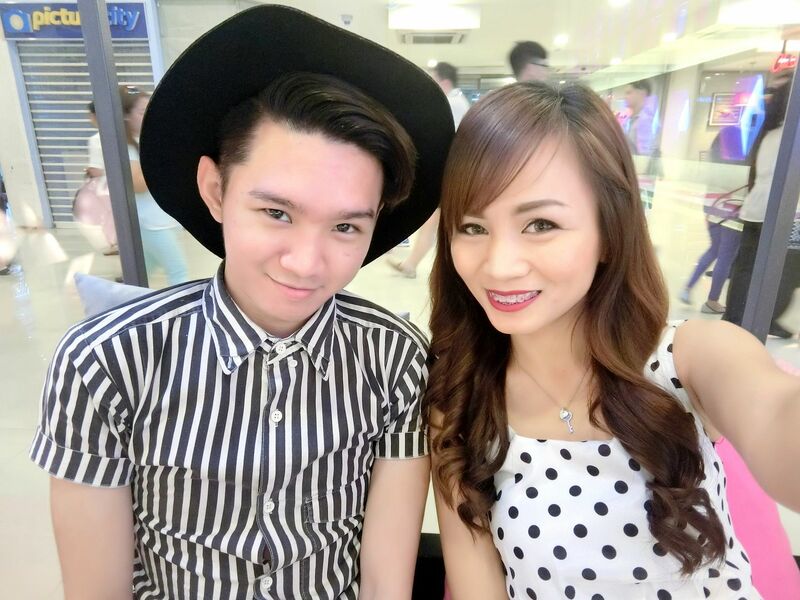 What a perfect timing because they recently re-opened their Flawless Trinoma branch! The store is one of the first Flawless stores to get a store makeover. They revamped the look of their clinic, toned down the color and changed their logo as well. We also found out that some people actually find Flawless intimidating because of the many photos of celebrity endorsers and because people think Flawless is expensive! 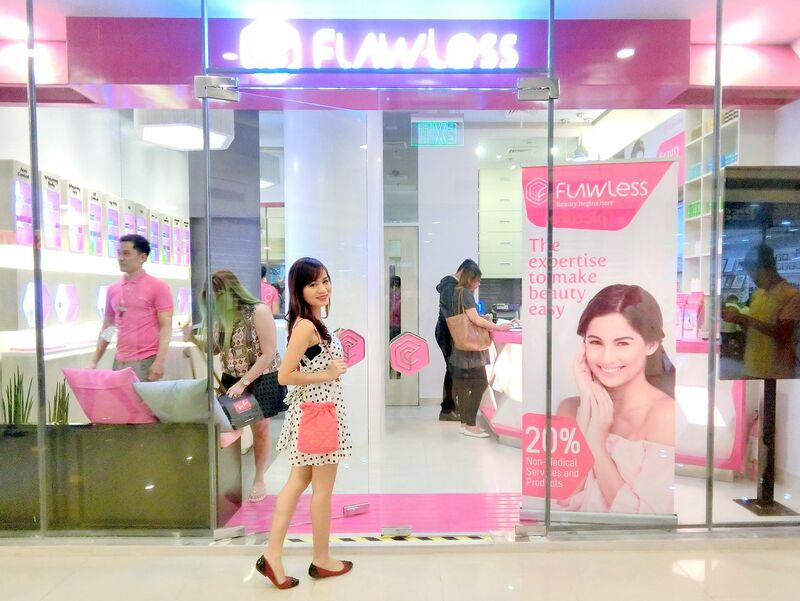 So, Flawless thought it was time to makeover their clinics,too!  So fitting for people like me that want to get a total beauty makeover! Flawless Beauty Drip is a treatment that is given through IV Infusion and will last for less than an hour. Intravenous Infusion allows greater tissue saturation and allows the body to tolerate high doses required for immune system functionality and detoxification of the cells. Beauty Drip is a cocktail nutrients designed to deliver high antioxidant coverage, immune protection, stress defense and better skin glow. Those are important adjunct to the holistic approach to beauty. The Beauty Drip's main components are Glutathione, Vitamin C, Vitamin B complex and Alpha Lipoic Acid. I vlogged how it's done so please watch the video! 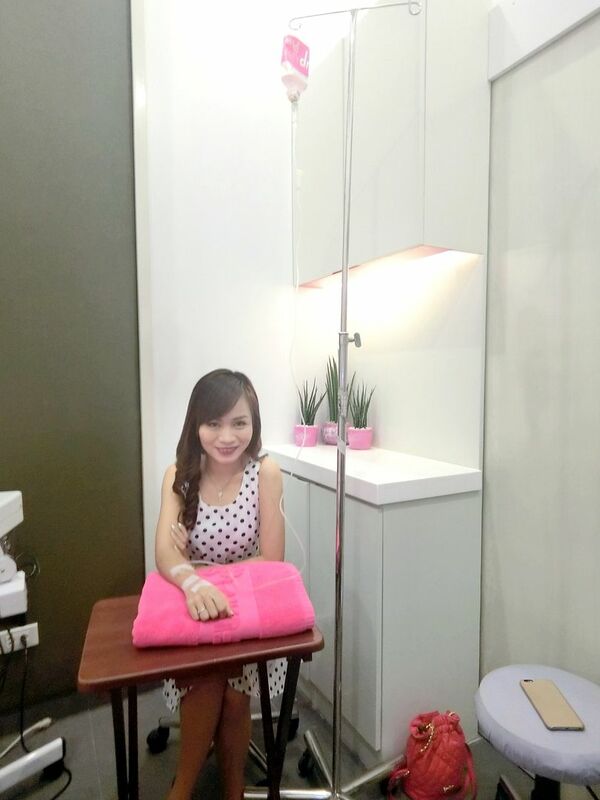 The very reason why I got brave enough to try this treatment is because local celebrities here in the Philippines often get this same treatment to maintain their fair, glowing and healthy complexion! 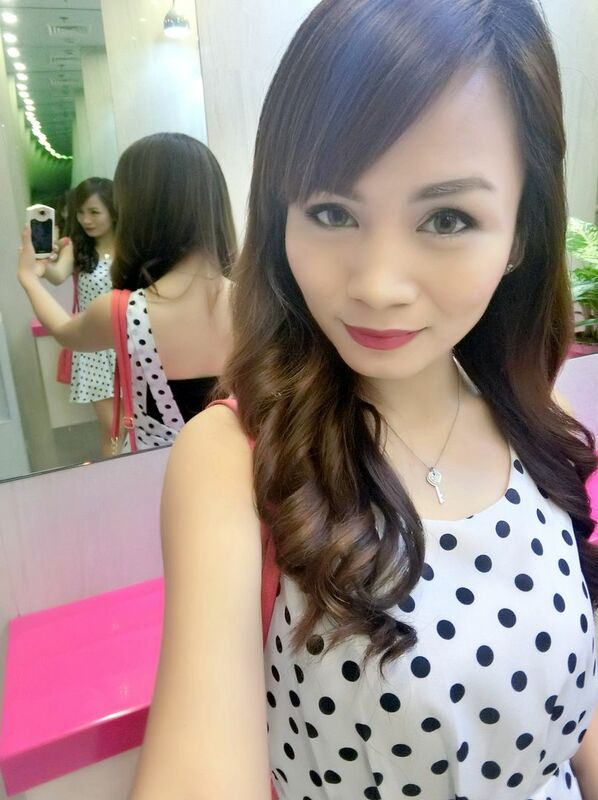 If you are not from Asia then you probably will not understand why we want to have lighter skin while people from the West adore our pretty skin color. I guess people always want what we do not have, huh? In my case, I just want to have lighter skin because I think I would look better in a lot of clothes if my skin was lighter. I'm talking about loud prints and bright neon ensembles here! Hehe I also want to detoxify because of my acne. The problem with my acne is that the cause of it comes from inside my body. So, direct infusion of nutrients would of course make the healing process faster and more effective! Now, let me answer some of your questions! It does not hurt. Though, one could get really nervous while the doctor is trying to insert the needle through your vein! But once it's in, it does not hurt anymore. 2.) How long does the infusion last? The doctor said that if the vein is larger, it would take faster. Mine took about 20 minutes only. But for people with smaller veins, I am pretty sure it won't be more than an hour. 3.) How many days before the Beauty Drip takes effect? 4.) How many treatments do I need? If you have the budget for it, I recommend having it once a month to achieve full effect! But if you are on a tight budget, then 3 straight sessions (meaning 1 session every 2-3 weeks) would surely give you noticeably lighter skin. 5.) How much does it cost? 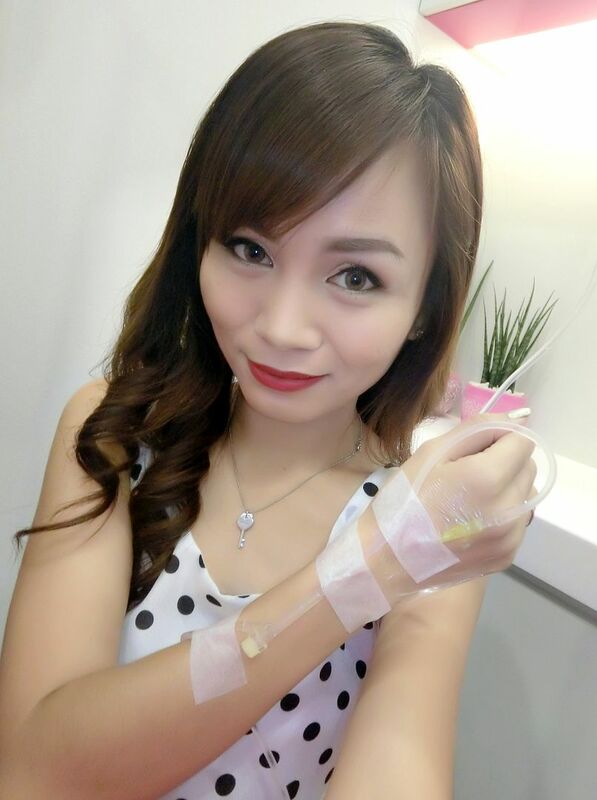 Beauty Drip costs Php7,000. That includes 2 shots of Glutathione, Vitamin C, Vitamin B and Alpha Lipoic Acid. If you want to save a few Peso, ask the Doctor for the regular Glutathione IV. It is pure and solely Gluta that would be infused to your veins. Because I was on my period when I had the Beauty Drip, my skin was not in a really good state. I had 2 big bumps on my left cheek that I wanted to eliminate. Because of that, I also had the Flawless K.I. 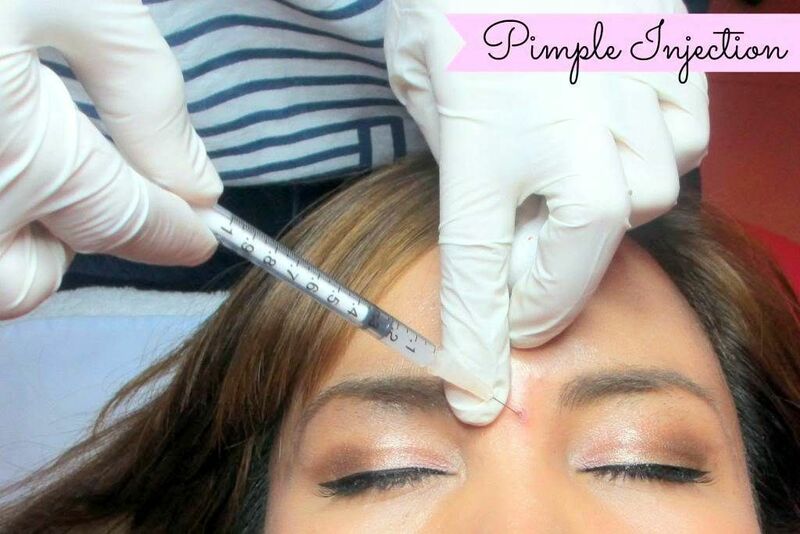 Pimple Injection. I have a detailed separate blog post on that treatment. Please click HERE to read it on a new window. Have you ever experienced knowing a name but never a face? Well, that's how I would explain what Marcelo Santos is to me. A name so familiar yet a face I have never once seen before. Until this day! Yay! 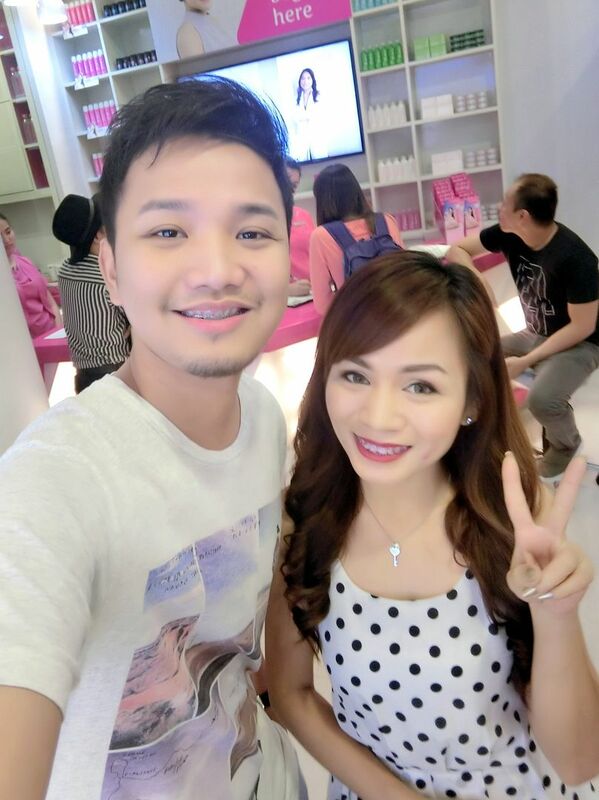 I met Marcelo Santos right after having my pimple injection! Hehe How awkward that I shook hands with him with the 2 small pieces of tissue on my face! So that is my beauty makeover for today! I am sorry for the lack of blog posts lately. I am currently on a roll making and editing YouTube videos for you guys since we already have a schedule for our videos. So, please don't forget! New RealAsianBeauty video on our YouTube channel every Wednesday and every Saturday at exactly 3PM!